EasyKlip® Midi - White is the strongest reusable tarp clip on the market. This multi-functional, grommet-free fastener is designed to grip tarps, car covers, fabric canopies, plastic banners or any other fabric up to ¼” thick needing a lasting hold. 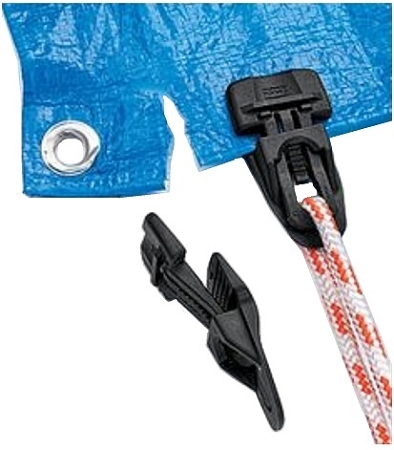 Specially engineered to increase the clamping pressure and grip up to 220 pounds as the load increases, this clip is five times stronger than other tarp clips on the market. Features: Quick Release Mechanism. Apply with one hand operation. Reusable. Maximum Load: 220 pounds depending on fabric.